A shift last year by the federal government in how it pays for drugs to treat dialysis patients may have had an unintended and potentially dire consequence, according to new research: a significant jump in blood transfusions for patients who now may not be getting enough of the medications. The findings are seen by some experts as a stark illustration of how the government’s reimbursement policies can drive the practice of medicine. 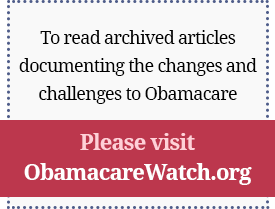 Previous Article: Avik Roy: Are House Republicans Caving in on Repealing Obamacare? Doubtful.